Beauty Now episode 53: LA LA Lips with Dr. Brent Moelleken: Natural and Full Lips and How to Get Them. 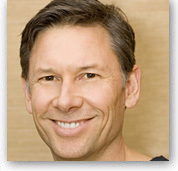 Brent Moelleken, MD, FACS is a Plastic and Reconstructive surgeon with offices in Beverly Hills and Santa Barbara. He is double board certified by the American Board of Surgery and American Board of Plastic Surgery and specializes in cosmetic surgery. He received his premedical, medical and surgical training at Harvard University, Yale University, UCSF and UCLA. He is one of three specialty-trained surgeons in the world to complete the yearlong Aesthetic Surgery Fellowship at UCLA. He has the prestigious FACS degree and is a member of the American Society of Plastic Surgeons (ASPS), The American Society for Aesthetic Plastic Surgery (ASAPS), Who's Who in the World and numerous medical and scientific organizations. Dr. Moelleken pioneered the superficial cheeklift operation, a superficial, fast recovery technique for lifting and rejuvenating the midface, the area below the eyes into the cheeks. The superficial cheeklift produces a cleaner, more rested appearance below the eyes than conventional lower eyelid surgery and avoids some of the changes in eye shape associated with conventional lower eyelid surgery. His technique was published in Plastic and Reconstructive Surgery, the premiere plastic surgery publication, and has appeared on numerous local, national, and international television segments. Dr. Moelleken has innovated LiveFill™, disarticulated fascial fat grafts, a method of permanently augmenting areas of hollowness in the face, and of increasing lip fullness. The LiveFill™ method has many advantages over conventional fat injection, including higher survival rates and much less swelling postoperatively. The results of his study have been published in the journal Plastic and Reconstructive Surgery, have been presented at several international meetings, and have appeared on numerous local and national television segments. Dr. Moelleken is an Attending Surgeon in the Division of Plastic and Reconstructive Surgery at UCLA, where he often performs surgeries and teaches residents. He specializes in patients diagnosed with skin cancers in the facial area who require complex, artful reconstructions. His greatest joy is returning them to a normal life and appearance after they have survived skin cancer. Dr. Moelleken believes that art and perspective comprise 30% of the surgical equation, while the other 70% come from unhurried, compassionate surgical judgment, knowledge and technique. His patients range from schoolteachers to architects to celebrities, company presidents and foreign dignitaries. He individualizes his surgical approach with each patient. It is likely when you consult with Dr. Moelleken that you will receive a surgical plan that is highly customized to your needs and expectations. Dr. Moelleken performs all surgical consultations himself. He believes all new procedures should pass the test of respected peer reviewed publications to be considered legitimate. He encourages patients to seek several consultations and research the physicians’ credentials thoroughly before deciding on the right plastic surgeon. Dr. Moelleken, as a Clinical Assistant Professor of Surgery at UCLA Medical Center in the Division of Plastic Surgery, often provides free surgical services to Veterans at the West Los Angeles Veteran's Hospital with the UCLA Plastic Surgery residents. Dr. Moelleken's two years of laboratory research in wound healing at the NIH funded laboratory at UCSF Medical Center and his work on numerous publications have helped him to optimize wound healing in every surgical incision, to create the finest scars possible with current technology. Dr. Moelleken keeps abreast of current research and is a frequent contributor to research in wound healing and new technology.